I need an opinion on this watch. I want to add Mont Blanc to my collection, is this a valid choice? I think they are underrated by the watch community and very fine watches at a great price for what you get. I am partial to this limited edition model, the Nicolas Rieussec 111012. The lume is innovative both in design and the tech to enable it. Here is a rundown of the models released since 2008 up till last year. I don't think they release a model in 2019. Every Nicolas Rieussec Chronograph was powered by Montblanc's in-house movements, the hand-wound MB R100 or the automatic MB R200. Both are mono-pusher chronographs with 72 hour power reserve thanks to double barrels. The first generation Rieussec was released at SIHH in 2008. It was named the Star Nicolas Rieussec Monopusher Chronograph and used the hand-winding MB R100 movement. The display included a central sweep date hand and the Rieussec chronograph discs for seconds and 30-minute counting. Chronograph time was indicated with pointers to 12:00 on these discs, supported by a wishbone shaped disc above the dial. Generation 1 was a limited edition, with 25 pieces in platinum, 75 each in white and yellow gold, and 125 in rose gold. Montblanc followed up at SIHH in 2009 with a new version of the hand-wound Rieussec. Rather than a hand, this featured a date disc or wheel with a pointer at 12:00. It was partially open-worked so some of the movement wheels could be viewed below the dial, and the modified movement was renamed MB R110. For SIHH 2010, Montblanc introduced a version of the hand-wound Rieussec chronograph with a silicon escapement. This new model featured a calibre named MB R120 which was very similar to previous models. The main dial features hour and minute hands and, visible through slots in the dial, a rotating disc with a pointer at 6:00 to display the date. The chronograph discs are similar to previous models, with chronograph seconds and 30-minute counters indicated by pointers. As with previous Rieussec models, a power reserve indicator is present on the reverse of the movement, visible through a sapphire case back. Just 25 Silicon Escapement models were produced, all in rose gold (model #105920). In 2011, Montblanc finally released the long-promised automatic Rieussec chronograph. Although the automatic calibre MB R200 had been shown along with the very first Rieussec calibre MB R100, it was not released for sale for three years. 106487 - Stainless steel case with silver "guilloché grain d'orgs"
108733 - Rose gold case with diamonds and silver "guilloché grain d'orgs"
111834 - Rose gold case with silver "guilloché grain d'orgs"
Montblanc made a splash at SIHH in 2011 by releasing a limited-edition table clock, complete with an integrated watch winder and a Rieussec watch. The Horological TimeWriter table clock came with a Montblanc Nicolas Rieussec Chronograph Automatic Limited Edition watch. This was an automatic, equipped with calibre MB R200, but cased in rose gold. The Horological TimeWriter and Limited Edition watch was issued in an edition of just 19 pieces. To celebrate the 7th anniversary of their Ginza, Tokyo boutique, Montblanc introduced a special Rieussec Chronograph Ginza Edition in 2013. The Ginza edition is a standard Automatic with a black dial, steel case, and red numerals at 3, 9, and 12. Additionally, the numeral 7 is printed in red inside the crystal. The Montblanc Nicolas Rieussec Chronograph Ginza Edition was limited to 77 pieces. Also at SIHH in 2011, Montblanc released a series of hand-wound Rieussec chronographs to celebrate the 190th anniversary of his original "time writer". These models flipped the date disc with the pointer at 6:00, though the movement remains with the MB R110 name. Montblanc introduced another revision of the Rieussec at SIHH in 2012. 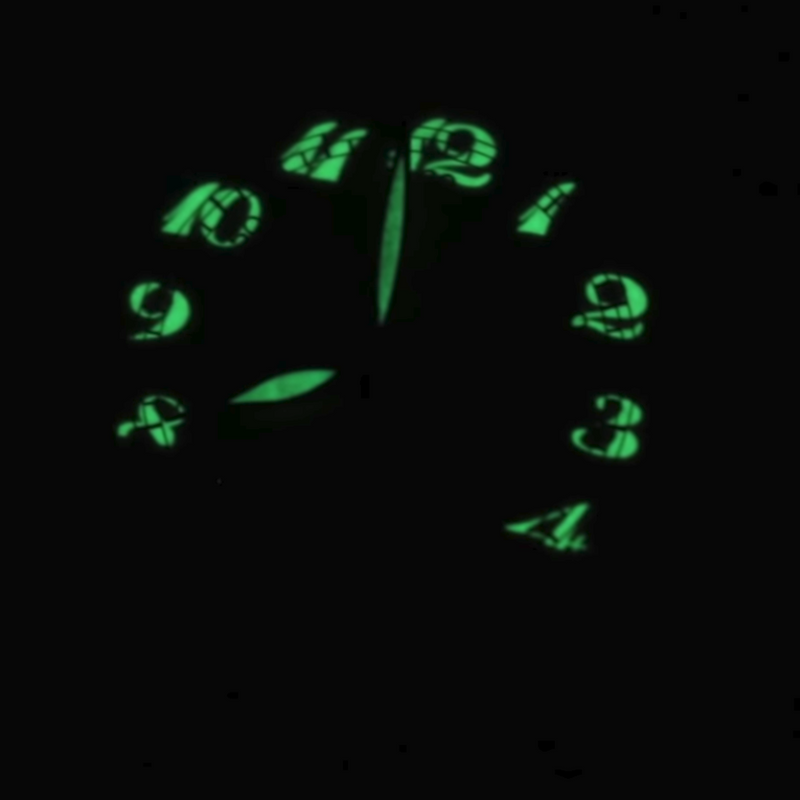 This was an automatic with "Home Time" shown on a disc beneath the dial, indicated by a pointer at 6:00. It was otherwise similar to the previous Rieussec automatic but was named Montblanc Nicolas Rieussec Chronograph Open Home Time. Because of this modification to the movement, it bore a new name as well, MB R210. The Montblanc Nicolas Rieussec Chronograph Open Hometime is an unlimited edition in steel or rose gold. 111835 - Stainless steel case with silver "guilloché grain d'orgs"
107070 - Stainless steel case with black "guilloché grain d'orgs"
At SIHH in 2013, Montblanc introduced a "rising hours" version of the automatic Rieussec. It features a double-disc display of the hours from 11:00 to 1:00. The top disc features cut-out numerals for each of 12 hours in the classic Rieussec font. Below this is a bi-color disc, blue and black, that shows through the numerals to indicate day and night, from 6:00 to 18:00. In addition to the hours disc, this model added two major complications: A day wheel at 9:00 and a date wheel at 3:00 shown through dial apertures similar to the previous Automatic model. This new movement is named MB R220. Montblanc created a unique black and gold version of the Rieussec Rising Hours for Only Watch in 2013. The 2014 entrant at SIHH was a limited edition Homage to Nicolas Rieussec model. It features the same MB R200 movement as the unlimited Automatic model but with styling changes that set it apart: The chronograph discs now reset to 3:00 and 9:00, with a diamond-shaped pointer between taking the place of the forked bridge used previously. For the main dial, no hour numerals are shown, but the minute track is composed of a special hybrid ceramic with Super Luminova integrated into it so the hour numerals appear in the dark. The Homage to Nicolas Rieussec was limited to 565 pieces in stainless steel (model #111012) and 193 pieces in rose gold (model #111592). Additionally, a special model was produced for Watches and Wonders in 2014 featuring a luminous galloping horse on the main dial at 6:00, a bit of Super Luminova on the chronograph bridge, and a horse and text on the display caseback. This was limited to 100 pieces in stainless steel and 30 in rose gold. 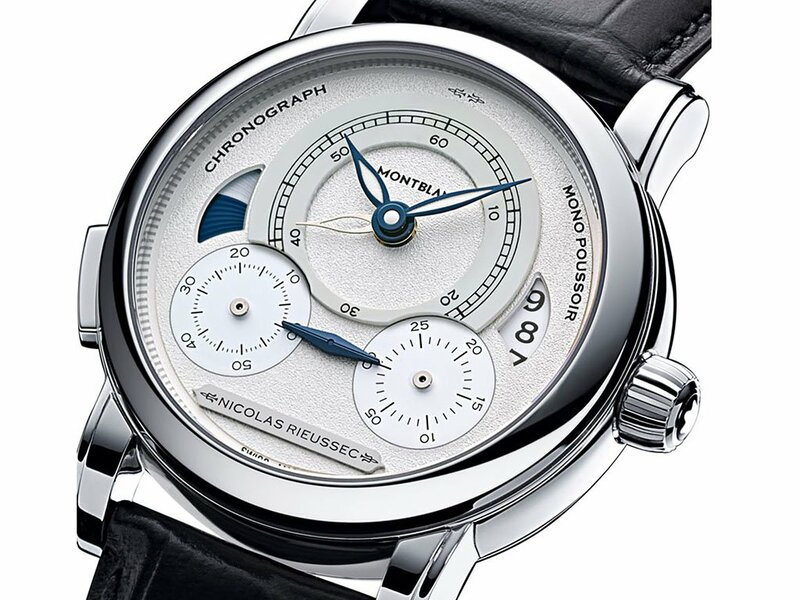 Montblanc quietly introduced an updated Homage to Nicolas Rieussec at SIHH in 2015. Like its predecessor it was a limited edition in steel with a white dial and embedded Super Luminova. But this model is the first Rieussec chronograph to feature moving hands for the chronograph seconds and minutes rather than the rotating discs that had been the trademark for this model. Despite this change, the movement retains the same name, MB R200. The Homage to Nicolas Rieussec II (model #111873) was limited to 565 pieces in steel. For SIHH in 2018, Montblanc released another Rieussec chronograph, the Star Legacy Nicolas Rieussec Chronograph. Ref. 118537 was priced lower than previous models and features an ornate closed dial. Powered by Cal. R220, it features a more-traditional date aperture at 6:00 and day/night indicator at 9:00. This is the first Rieussec model to be certified by the Montblanc Laboratory Test 500.
thanks for the detailed post, very useful to someone interested in the release history! No problem. I cut and pasted it from the watch-wiki (dot) net website. Previous Topic: Manual wind Nicolas Rieussec chrono ever produced?